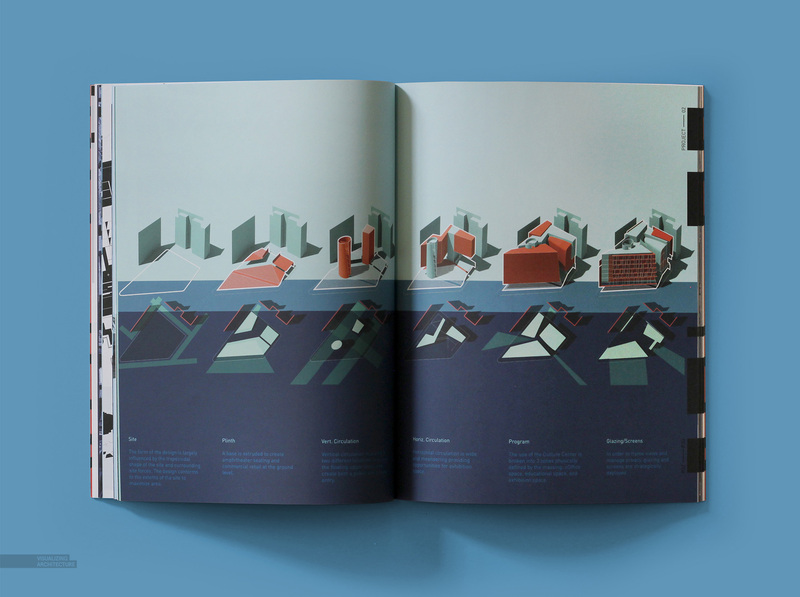 This portfolio is an exploration in architectural graphic representation. Each of the four projects are designed across a spectrum of conditions; from urban to rural settings and landscapes to buildings. Each of the investigations are intended to act as a framework to test out new graphic ideas and styles. They are not designed for clients, nor are they intended to be built. 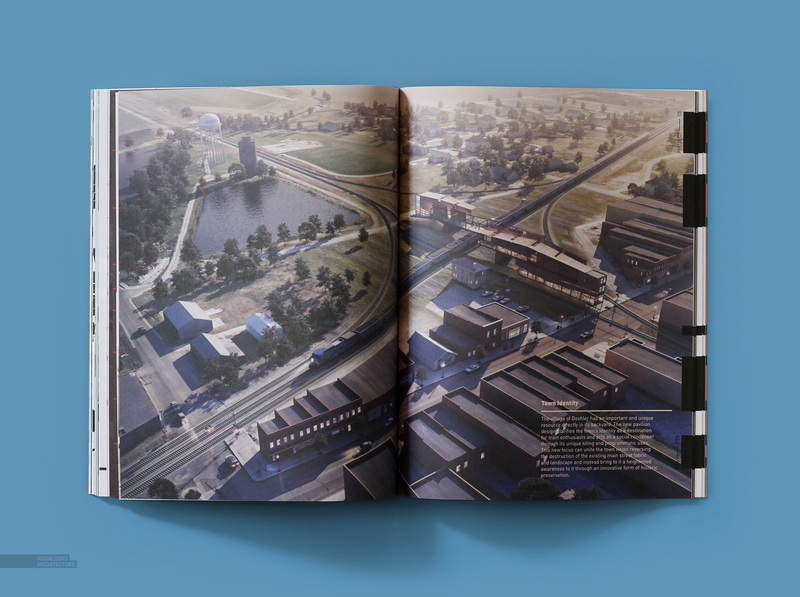 The book is conceived around experimentation and exploration. Each spread investigates representation through an intentionally different lens. 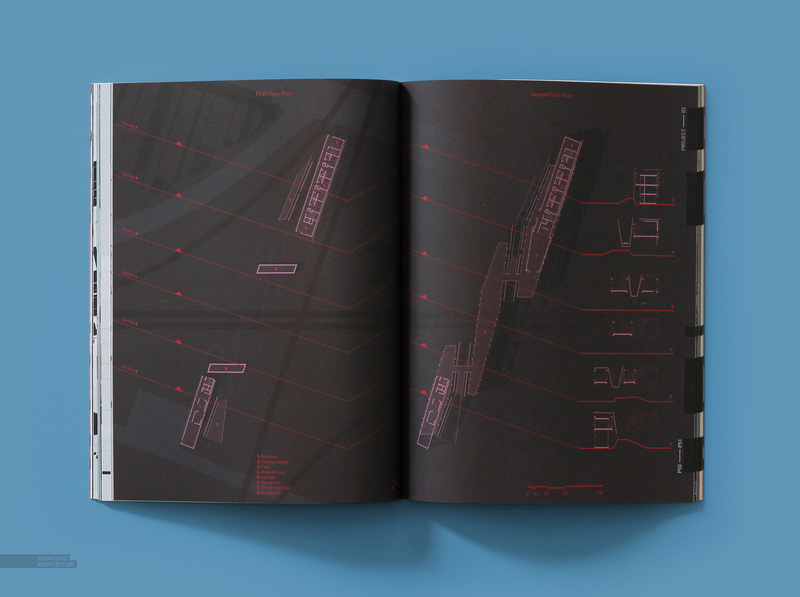 Though the styles range, each spread has been carefully composed and certain organizational systems have been deployed to unify the layouts and create a consistency throughout the book. 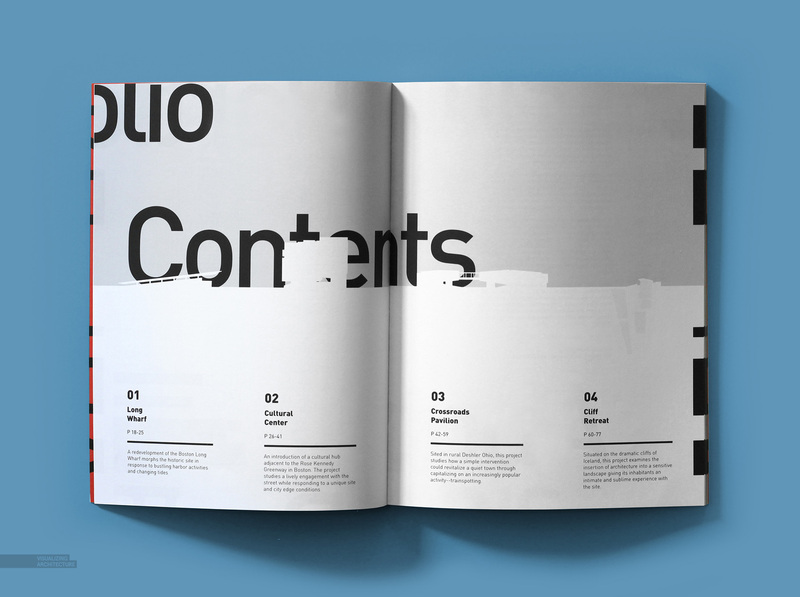 At the end of this portfolio, an image index has been created that breaks down all of the images to reveal the process images used to generate the final illustration. 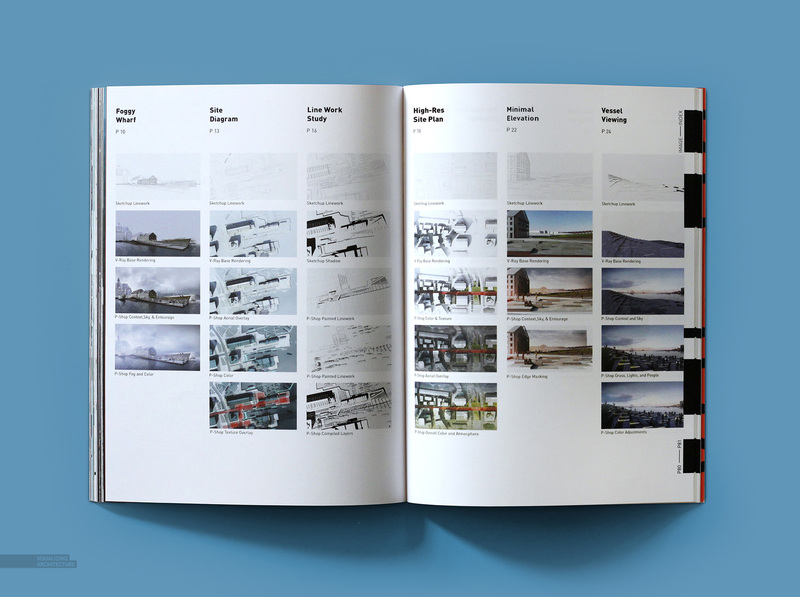 Many of the processes and workflows used in the making of this book are also broken down into simplified tutorials. These tutorials and other information can be found here. 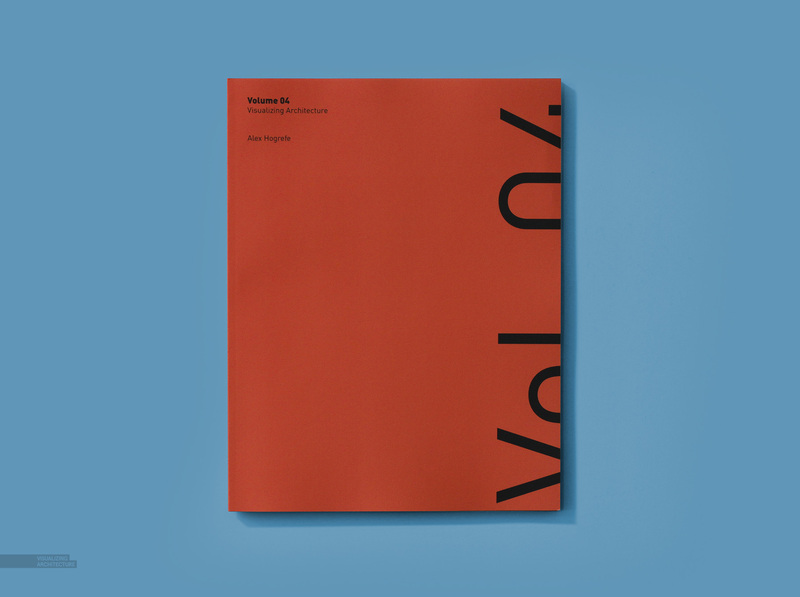 Matte finish cover, matte interior pages on premium 70lb paper. Four projects over the course of two years explained through multiple graphical approaches. Several explorations in diagramming styles and techniques. Floor plans, elevations, sections, and other traditional representational techniques. Full bleed, full resolution perspective illustrations. 29 images have been broken down at the end of the book showing the 3D model line work, base renderings, and steps performed in Photoshop allowing for quick references of what software programs were used and where they were implemented into the workflow.